Dr. Pepper Tuition Giveaway is a national contest open to all college students who are interested in submitting a video that explains in a creative way why they should receive the Dr. Pepper tuition prize. The contest is open to all U.S. citizens. Videos are one minute in length and include mention of Dr. Pepper, utilize a theme that is appropriate to college tuition and football, and tells a story about what the prize will mean to the student. One grand prize winner, runners up and finalists will all receive scholarship money. 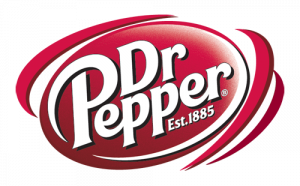 Since 2010, Dr. Pepper has sponsored the nationwide promotion each college football season. The contest will be open in August of 2013. Winners will receive either a finalist award or compete for a grand prize tuition at a college football championship game. Students simply submit a video telling what their career goals are, how they will make an impact on their commuties, and how the tuition will help them reach their goals. Winning entries will receive scholarship money which be used all four years of college to cover tuition, fees, room and board, books, supplies, equipment, and other educational expenses.